To create a championship culture that pursues the development of character within each individual on the team to promote success for the team. Teach life lessons through the sport of swimming that student-athletes will continue to use once their swimming careers are over. “Weakness of attitude becomes weakness of character”.– Albert Einstein. Student-athletes are expected to maintain a positive attitude at practice, meetings and swim meets. “A persons a person, no matter how small”. – Dr. Seuss. Student-athletes are expected to respect everyone. (Officials, coaches, competitors and especially other teammates). Student-athletes are expected to want to obtain excellence. They are expected to strive for it every day in and out of the pool. “When a team outgrows individual performance and learns team confidence, excellence becomes a reality”.– Joe Paterno. we support and defend one another. Student-athletes are expected to know it is okay to unknowingly be wrong. If you make a mistake claim it and fix it. Attitude: We don’t whine.We maintain a positive attitude no matter the circumstance. Determination: We pursue excellence.We are determined to constantly improve until excellence is obtained. Accountability: We hold our selves and our teammates accountable. Effort: We give 100% effort ineverything we do. Respect:We are respectful towards everyone. We respect each other and we respect our competitors. We understand that they make us better and we respect them for their hard work. EXEMPLARY: Bringing a positive attitude towards others. Welcome failure; understand that it is a necessary step to success. EXPECTED: Keeping negative comments to yourself. Don't talk negatively to yourself. UNACCEPTABLE: Negativity. Complaining about a situation instead of trying to fix it. "Kicking someone when they're down". NON-NEGOTIABLE: Threatening to quit the team. Threatening another swimmer on the team. Refusing to do what the coach says. EXEMPLARY: Going out of your way for your teammates to show you care and have their back. EXPECTED: Attending the team building day and dinners after meets. Wearing team uniform to meets. Cheering for teammates during races. UNACCEPTABLE: Leaving meets early. Not participating in team cheer. NON-NEGOTIABLE: Putting yourself above the team. Outcasting another team member. EXEMPLARY: Never get out of a set early. Eat right. Get to bed early. Push teammates to strive for higher determination of excellence on their off days. EXPECTED: Minimum attendance rate at 90%. Warm up and down every time. Finish to the wall constantly. Know where you are in a set. No excuses for getting out of a set. UNACCEPTABLE: Choosing not to come to practice when you can. Just "going through the motions." Being late to practice. EXEMPLARY: Holding teammates to high standards. Criticizing others in a way that is not demeaning or jeopardizing team unity. EXPECTED: "You are in charge of you". Constructive criticism of your actions. Admitting you made a mistake and changing it. UNACCEPTABLE: No excuses. Not helping your teammates with the tarps. Not letting the coach know when you're not going to be at practice. NON-NEGOTIABLE: Criticizing others in a non-constructive way. Name calling, yelling or talking behind teammates back. Encouraging others to join you in not be accountable. EXEMPLARY: Training with a purpose at every practice. Constantly striving for improvement. Push through the pain when your mind is telling you to stop. EXPECTED: 100% of the time you are able to be at practice you are at practice. Have a purpose mindset: Don't count the minutes until practice is over, make those minutes count. UNACCEPTABLE: Having a lack of caring for your goals or a lack of caring for the team goals and core values. NON-NEGOTIABLE: Having a lack of caring for the team goals. Constant tardiness. Not coming to practice. EXEMPLARY: Be grateful: saying thank you to parents, officials, other coaches and competitors. Congratulate competitors after a race if they have a good swim or beat you. EXPECTED: Treating teammates the way you want to be treated. Shake the coaches hand after every practice. Shake competitors hands and say good luck before racing. UNACCEPTABLE: Talking negatively to or about teammates. Being rude to officials, competitors etc...Not giving credit to a teammate or competitor for beating you. 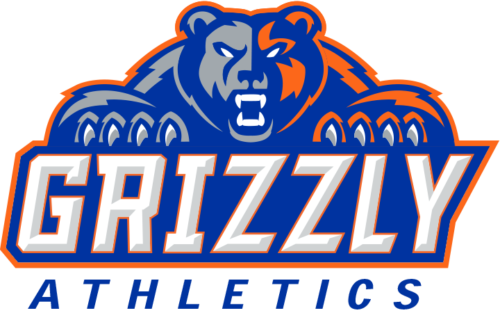 Welcome to the Grizzlies swimming program! With cooperation and hard work I look forward to having an enjoyable and successful season. All athletes must have an athletic physical exam form turned in for the 2018- 2019 season in order to participate in practice/competition. All athletes must complete the GOHS swimming team tryout. All athletes must be in good academic standing in order to compete. All athletes must be in good behavioral standing in order to compete. The main responsibility of the coaching staff and of the student-athlete is academic success. Just as GOHS students-athletes are held to high standards in athletics, they are also held to high standards in academics. To be successful in this program every student-athlete must be able to balance school and swimming. This means being at practice each and every day ON TIME. If every student-athlete stays on top of his/her school work, there is no reason a student-athlete cannot devote their time to swimming before or after school each day. “I have lots of homework” is not an excuse for missing practice. While a student-athlete may be eligible to participate, if the coaching staff is aware of severe academic issues, the coaching staff may not permit that student-athlete to compete in meets or travel with the team to away competitions. If a student-athlete is consistently having problems with grades, or has to be held from traveling and/or participating due to grades, that student-athlete will likely be removed from the team so they can focus on academics. If a student-athlete needs extra time at school for things such as tutoring or make-up tests, every effort should be made to do this before and after school, depending on your practice schedule. Please address all other option available to you before you commit to missing practice. Tutoring and make-up testing does not excuse a student-athlete from practice. Each student-athlete must be at practice. If tutoring is needed, it is expected that the student will go to tutoring in the afternoon or will speak with the head coach if they need to go to tutoring in the morning. Not following this process will cause for a 10 point lose for that 3 weeks grade. If a student-athlete deceives the coaching staff in anyway regarding this issue there will be severe disciplinary actions taken, up to and including removal from the team on the first offense. It is the student-athlete’s responsibility to talk with each teacher about work that will be missed BEFORE the team misses school for competition. It is always best to turn in assignments early that will be due the day of the meet. Student-athletes are expected to attend all meets and practices that they have been assigned, including those scheduled during vacation periods. If a student athlete will not be attending a practice it is mandatory that they themselves contact the coachprior to that practice and a parent note with date, name and phone number be turned in at the next practice in case a conversation is needed. Club swimmers currently training with a USA registered team are expected to attend all High School varsity practices that are scheduled at the same time as club practice. Club swimmer’s currently training with a USA registered teams are expected to attend all club practices outside of high school practices. If their club does not have a practice when our practice is scheduled, the student athlete is expected to attend our practice unless the student athlete’s club coach has discussed the situation with the head coach. Practice days are Monday through Friday before and after school, depending on whether a student-athlete earns a 1stperiod or 8thperiod spot. Periodically practices will be held on Saturdays and over holiday breaks. EVERYONE is expected to be in attendance. Every student-athlete must be at practice on time every day. IF YOU ARE EARLY, YOU ARE ON TIME. IF YOU ARE ON TIME YOU ARE LATE! Should a student-athlete continue to be late on a repeated basis, that person will be dismissed from practice and possibly the team. 1st= Student-athletes will only be considered to receive a letter jacket when they finish in the top 8 at the Varsity District meet AND in good standing with the TEAM. 2nd= Are a member of the GOHS Swim & Dive Team for 4 years AND in good standing with the team. 3RD= Student – athletes that swim in the JV district Championship meet and swim a time that would place them as one of the top 8 finishers at that years Varsity District Championship meet. (see # 1) Have earned their letter jacket. All student-athletes are expected to conduct themselves in a manner, which is above every other student at GOHS. At all times keep in mind who and what you represent as a member of this team. It is a great responsibility and an honor that should never be taken lightly. All student-athletes must maintain satisfactory, “S”, behavior in all classes. Conduct grades on progress reports and report cards will be monitored. If a student-athlete receives an “N” or a “U” on their progress report or report card it will be treated as a contact from a teacher regarding your behavior in class. So if a student-athlete has already received a warning and then gets an “N” on their progress report or report card their latest transgression will be considered as their 2nd offense. Major violations of school policy or insubordination in the classroom that result in a suspension from school or other major classification of discipline ISS, can result in removal from the team on the first time offense. Student-athletes are expected to wear the team suit and team cap during all races. The coach must approve wearing any suit other than the team suit, such as tech-suits. Any swimmer not in proper attire will not be allowed to travel with the team or swim in the meet. Individual meet entries for all meets will be discussed with each student-athlete. All individual entries will be decided by the head coach with the individuals and team needs in mind. Relays for invitational and championship meet finals will follow the “fastest four swim” policy. There may be an occasion during preliminary sessions the relays are manipulated in order to explore different options that may be in the best interest of the team. (*The coach reserves the right to make any changes to relays at any given time). The UIL policies will be followed to the fullest also the use of performance enhancing drugs will not be tolerated. In our sport, these enhancers do not have the same effect as in football and baseball. Consequently, it is useless, irresponsible and dangerous to use them. Blood doping and testosterone injections are illegal and extremely dangerous and will not be tolerated in this program. Use of any other illegal substance designed to alter the mind and/or body is prohibited under state and federal law. No student-athlete on our TEAM will be old enough to consume alcohol and to do so will result in severe punishment up to and including dismissal from the TEAM on the first offense. The use of prescription or nonprescription drugs for recreational use will not be tolerated and will result in severe punishment up to and including dismissal from the TEAM on the first offense. Use of drugs or alcohol does not make you a better swimmer, student or person. It will not solve any problems, but only increase them. The coaching staff does not look kindly on drug use, and we do not want any athletes on our TEAM or in our school to use them. Consequences of such actions will be swift and unmerciful. Any negative social media activity (i.e. facebook, twitter, email, mass text etc…) that is brought to my or the school’s attention will not be tolerated and will result in consequences. The GOHS website will be your go to place to find any information needed.